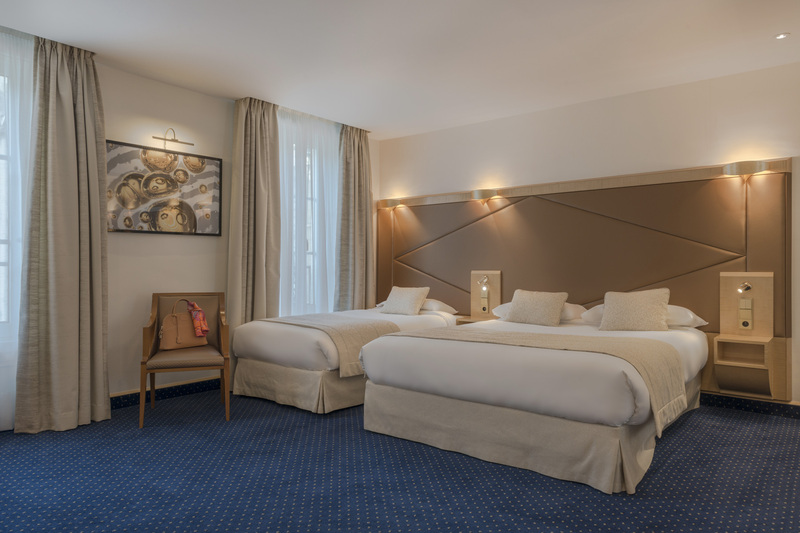 The deluxe rooms of the Atlantic hotel Paris welcome you in the heart of the Europe district, near the boulevard Haussmann and many theaters (Casino of Paris, Mogador, Edouard VII…). 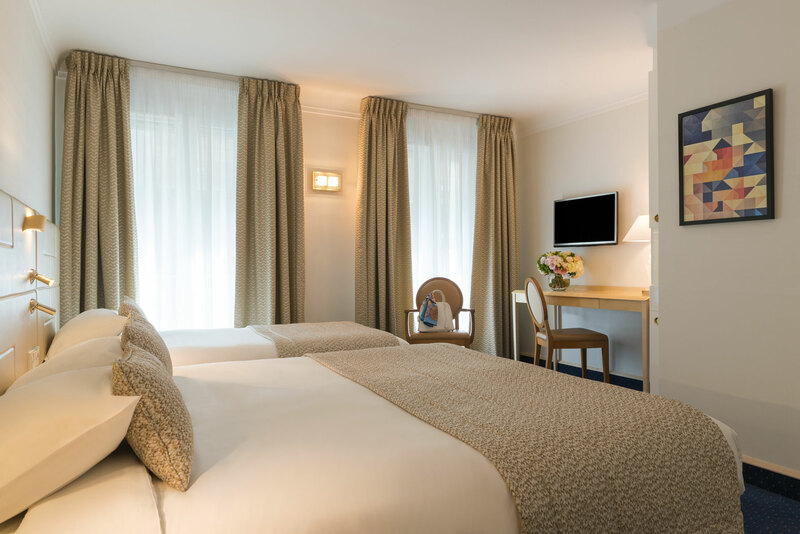 You will discover a district where life is enjoyable thanks to the quiet close by park Monceau and to a large variety of restaurants from the smaller nice Bistro to the famous chief’ s gastronomic restaurant. As at home, you wish to enjoy a very spacious room (approximately 30m2) allying comfort and refinement: welcome in your deluxe room. This category is the only one which can afford up to 3 people. The soft colors and indirect light leads to relaxation. The deluxe room will allow you to appreciate completely the volumes and perspectives so important to the eyes of the architect. Some of them were specially designed to meet the needs of people with reduced mobility. 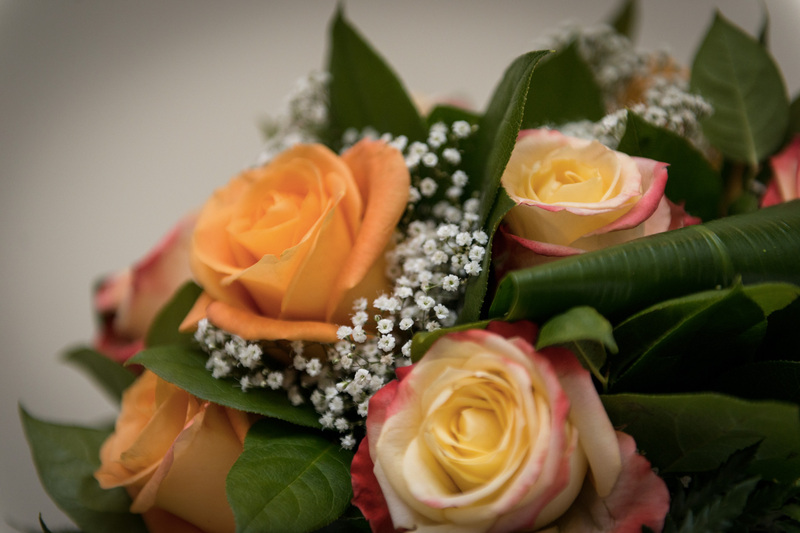 The same services as the superior rooms are at your disposal. Large windows will allow you to have a view either on the street Rue de Londres, either on one of the courtyards of our hotel. A bed for two people (160 cm x 200cm) and a sofa bed (80 cm x 185 cm), allowing you to have as a small salon area if the room is occupied by one or two people. Two single beds (100 cm x 200cm x 2) and a sofa bed (80 cm x 185 cm), allowing you to have as a small salon area if the room is occupied by one or two people. 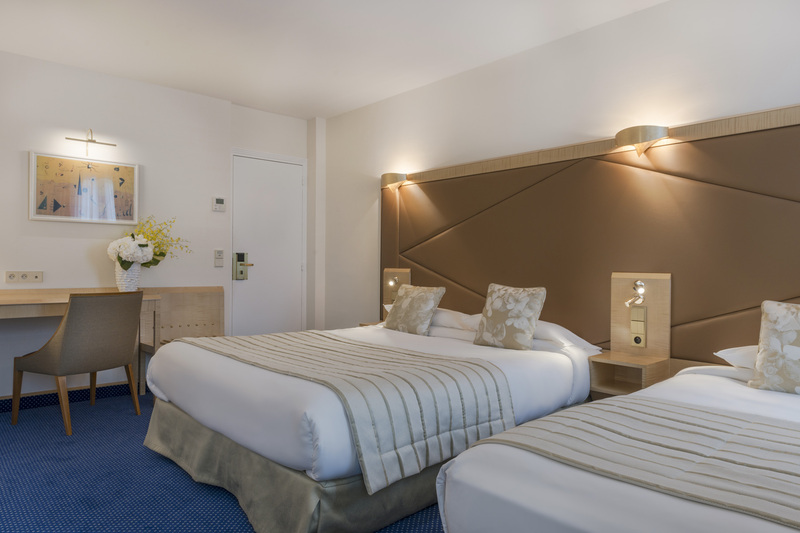 The deluxe rooms are equipped with soft and comfy bed linen. 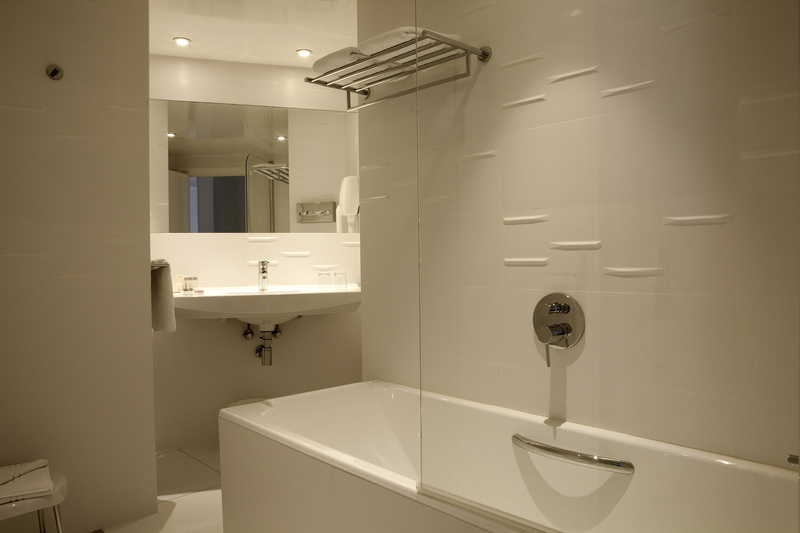 You will discover a large and functional bathroom with bathtub-shower or a separate shower (certain of Italian style); a wall hair dryer and welcome amenities of the famous Maison Morabito an invitation to relax, like our soft and high quality bathroom linen. Free access to our WIFI network is included. The large desk of your room contains a mini bar and a courtesy tray to enjoy an hot or cold drink while working. If you prefer, you can watch international channels on your flat-screen television. To assure you an optimal comfort, you will also find a digital safe and an individual air conditioning system which allows you to choose your own room temperature.